Now that warm weather is here to stay, it is time to clean out the coat closet, drawers, and clothes closets to lighten up the load of winter clothing and accessories. When boots, hats, mittens, coats, scarves, and bulky sweaters are safely stored away, you will have lots of extra space, which will let you breathe easier. But do not grab a bag of heavy-duty garbage bags, stuff everything in, toss it in the garage or basement, and be done. To truly take care of your winter gear and keep it sweet-smelling and ready for use when you pull it back out in the fall, take care of it now. Proper packing containers and a little TLC before storage goes a long way to protecting your investment in winter clothing and accessories. Sturdy plastic bins with tight-fitting lids are one of the best ways to store your winter clothing. The strong plastic prevents rodents and insects from getting in and nesting in or nibbling on fabrics and materials. Cotton storage bags are excellent when you need your clothing to breathe. Vacuum bags save space and prevent insect and water damage. Use one or several types of storage containers to accommodate all your winter gear. Clean everything before you store it to prevent stains and odors from setting in over the months of spring and summer. Many items can be run through the washing machine on the regular or delicate setting and line-dried or dried on a cool setting in an electric or gas dryer. For more expensive fabrics and materials, however, you will need to be extra careful. Hand wash or dry clean according to the label. Just be sure to remove all plastic dry-cleaning garment bags as soon as you bring your items back home. Never pack your winter coats or sweaters in dry-cleaning bags. Take everything out of the pockets or pouches in coats and jackets. Zip up the zippers or button the buttons before gently folding them and laying them loosely in a pile in your plastic bin. Don’t stuff things in so tightly that air cannot circulate a little bit. Do not store real fur coats by folding; instead, consider finding a good fur storage facility to keep your fur looking and smelling its absolute best during the off-season. Sweaters prefer to be folded. Hanging sweaters for just about any length of time causes them to become stretched out and misshapen; plus, you will get those annoying shoulder bumps from cheap plastic or wire hangers. Instead, fold sweaters and stack them in plastic bins or cotton storage bags, with the heaviest sweaters on the bottom. You can also layer acid-free tissue between expensive sweaters to further protect them. 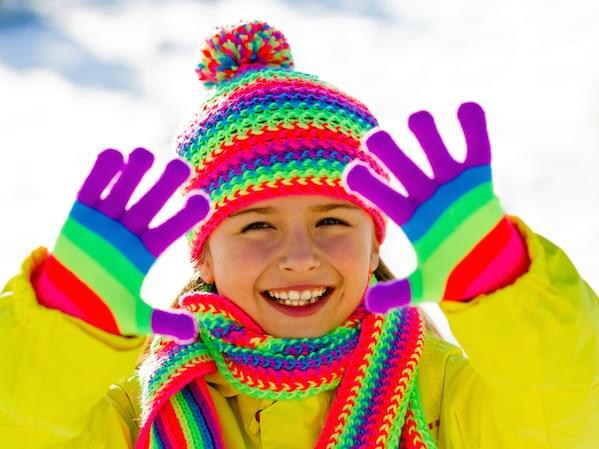 Pair up mittens and gloves first and then fold and lay these items into a plastic bin or cotton storage bag. Luxury materials can be wrapped individually in acid-free tissue for extra protection. Sort your boots if you have growing children. There is no use in storing boots that will be too small when winter comes again. Next, clean all boots according to the materials out of which they are made, paying special attention to real leather and suede boots. Any salt left on boots can eat away and damage the materials during storage. Stuff the toes with newspaper, if you wish, and lay the pairs of boots in a plastic bin. Soft leather or suede boots can be kept dust-free in 100% cotton storage bags or pillowcases. Now that all your off-season gear is stashed in bins and bags, get it out from underfoot by taking it to your self storage unit. Utilizing a self storage unit allows you to free up living space while keeping your possessions safe from harm. Value Store It offers a variety of sizes of storage units for your convenience. Use it for year-round storage of off-season clothing and household goods. Visit our Homepage today to get the storage you need!